Architects play pivotal roles in designing and developing amazing buildings, apartments and commercial establishments of varying types- all over the world. They work in alliance with designers and construction managers. While the architects learn a majority of skills and nuances of architecture in the courses, the importance of on job training and learning cannot be underscored. A majority of leading architects usually adhere to some resource materials- regardless of the type of projects they work on. One of these is the Architectural Graphic Standards. This book is regarded as the bible for architects. From its inception back in 1932 to date, 12 editions have rolled out-and the popularity has not diminished at all. The Architectural Graphic Standards is the ultimate reference and resource guide for thousands of architects, building contractors and designers. Since the release of the 1st edition, every version has been spruced up with up-to-date codes and relevant material. The 12th edition, the latest incarnation is available in both digital and printed versions. The newest edition –published in 2016, adds more than 300 new drawings, layouts, tables and more content. The 12th edition also features shorter texts and more visuals. It also has extensive appendices to ensure useful data remains at the user’s fingertips. Originally composed by Harold Sleeper and Charles Ramsey, it is now managed and published by the AIA. Major architectural design along with production processes- environmental assessment, functional planning, architectural construction documentation and building resiliency. Extensive coverage of materials like composites, plastics, masonry, metals, wood, concrete etc. Comprehensive building elements survey- substructures, equipment, services, furnishings, special structures etc. Comprehensive appendixes replete with relevant data like structural calculations, mathematical data and classic architectural elements. American Institute of Architects endorses this book and its reputation for using high-quality illustration and text remain unsurpassed. Apart from nearly 25% more content compared to the 11th edition, the new incarnation of Architectural Graphic Standards has a better overall organisation. The book has three sections- Building Elements, Materials and Design Principles & Construction Documentation. However, a few veteran architects have scoffed at the new edition for the dullness of design and lack of sophistication in graphics. The graphics look too densely packed, and text font size is quite small. Wiley and the AIA (the publishers) have made some perceptible changes to the content structure of the book. In fact, they have been doing it in almost every version, but the 12th edition looks quite differently structured than its predecessor. Within every section, the material has been redesigned to an extent. However, the focus seems to be more on letting things fit better on the pages than presenting the information more clearly, in a comprehensive way. It is more of an episodic approach, lacking overall cohesion, say the experts. The companion website of AGS which is Architectural Graphic Standards Online has opened up a new alternative for young, tech-savvy architects. The printed edition has 1,081 pages. 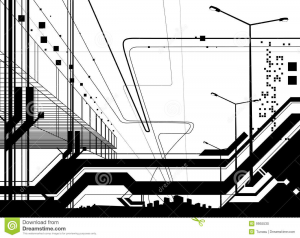 Architects can access and find the same content in digital formats like DXF, DWG, and DGN. The designs can be downloaded as well. Buying the printed edition entitles you to get flat 30% off on the subscription cost of the web edition for the 1st year. Using the online edition is way easier than dealing with a large book weighing eight pounds- from a practical perspective! It will be loved by those architects who love using the feather-light MacBook Air for their work. The million dollar question is that is the book still as relevant as it was a few decades back when internet and digital technologies were in infancy! Now that any architect can find relevant material on nuances of construction and architecture within seconds using a Smartphone- will he/she care for this resource? The industry experts and fans of the book think it is still relevant and will remain so. The new edition makes it easy for the users to locate required content fast and overall organisation of content is better. 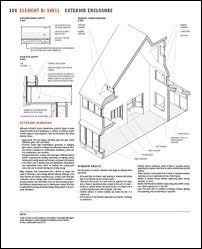 Besides, a Google search yields access to useful and updated information on architecture subjects, which is convenient. However, from a pure architectural ‘standard’ perspective, AGS still reigns over it. You can find the AGS 12th edition at many online shops these days. 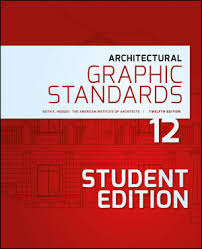 The AIA website (https://store.aia.org/products/architectural-graphic-standards-12th-edition?variant=16398864513) is the primary destination for buying it online. Here you can find both the full Hardcover edition and student edition of AGS. The student edition is priced at the half price of the comprehensive edition. However, Amazon sells a Paperback version of AGS- a student’s edition. You can also place orders for the Kindle edition of the book- in case you use the popular E-reader device of Amazon. The online edition of AGS is also available for users. The digital edition is accessible through annual or monthly subscriptions. Despite the few shortcomings, AGS continues to be the de facto resource for architecture topics. You should definitely buy it if a useful, authoritative resource on architecture topics is important for your work. The good thing is you can avail discounts on it by buying online. The new digital edition comes as icing on the cake.